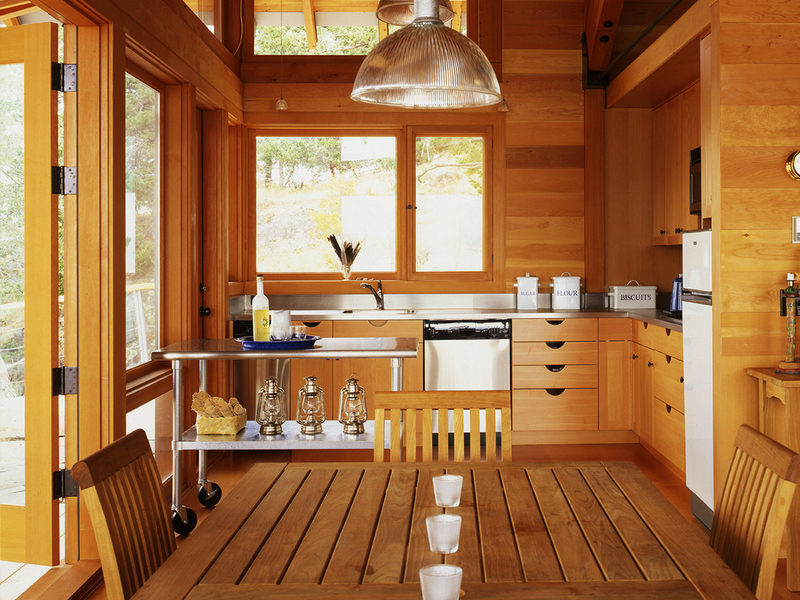 This seasonal retreat is located on a small, private island off the coast of Vancouver Island. The central concept was for a clear, compact plan that takes full advantage of the site's natural aspects with minimal impact. The result is a main social space clear-spanned by three large trusses, inspired by wooden bridge design and made of timber milled on-site. 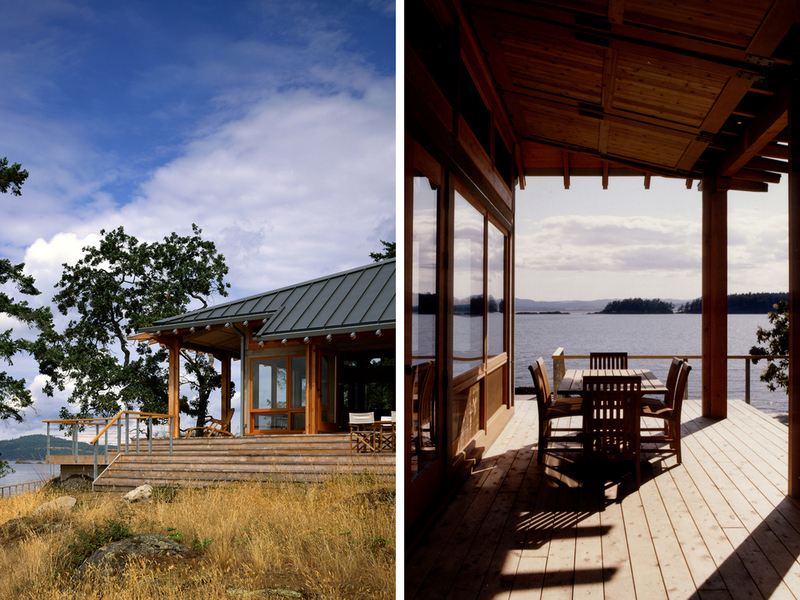 This space opens up on both sides onto an expansive deck, designed to take in the incredible views afforded by building's siting on the water's edge, while private and services spaces are tucked in the back. 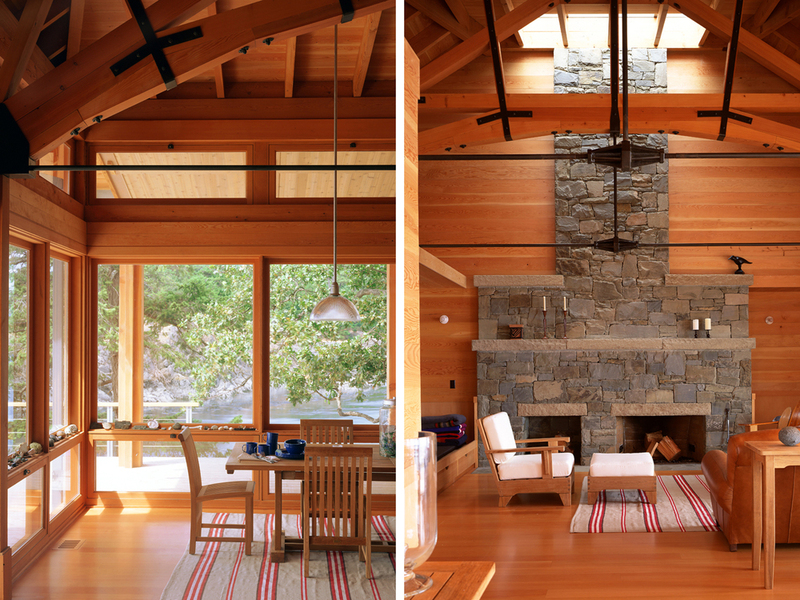 A desire for minimal maintenance drove the choice of finishes and detailing of the building: the interior is finished entirely in natural materials such as wood and cork, the exterior is clad in cedar siding, and a system of sliding and folding shutters allows for the building to shut down and locked up when unoccupied.